You'll enjoy a bit of beach vacationing at Vila de Porto de Galinhas Beach and Pontal de Maracaipe. Step out of the city life by going to Praia De Maracaipe and Outeiro church and panoramic view. Take a break from Recife with a short trip to Natural Pools of Porto de Galinhas in Porto de Galinhas, about 1h 20 min away. Next up on the itinerary: examine the collection at Instituto Ricardo Brennand, pause for some serene contemplation at Igreja de Nossa Senhora da Boa Viagem, and admire the masterpieces at Museu de Arte Moderna Aluisio Magalhaes. To see where to stay, traveler tips, more things to do, and other tourist information, read Recife travel planner. The Route module shows you all the different ways you can get to Recife. In November, plan for daily highs up to 34°C, and evening lows to 29°C. Wrap up your sightseeing on the 13th (Wed) to allow time to drive to Maragogi. Take a break from the city and head to Carneiros Beach and Antunes Beach. You'll get in some beach time at Maragogi Beach and Lages Beach. There's much more to do: explore the gorgeous colors at Gales de Maragogi, admire nature's wide array of creatures at Zoologico Pet Silvestre, identify plant and animal life at Piscinas Naturais de Barra Grande, and get great views at Mirante do Cruzeiro. To see photos, where to stay, more things to do, and other tourist information, read our Maragogi trip maker app . Getting from Recife to Maragogi by car takes about 2 hours. Other options: take a bus. Traveling from Recife in November, Maragogi is slightly colder at night with lows of 24°C. Wrap up your sightseeing on the 16th (Sat) early enough to drive to Maceio. On the 17th (Sun), tour the pleasant surroundings at Frances Beach and then kick back and relax at Gunga Beach. Get ready for a full day of sightseeing on the next day: make a trip to Teatro Gustavo Leite, then kick back and relax at Praia de Pajucara, and then tour the pleasant surroundings at Ponta Verde Beach. To find reviews, ratings, photos, and tourist information, you can read our Maceio road trip planning site . You can drive from Maragogi to Maceio in 2 hours. Another option is to take a bus. 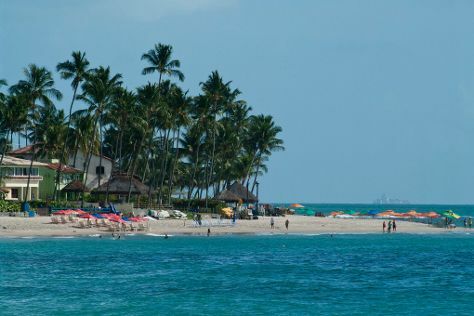 In November in Maceio, expect temperatures between 35°C during the day and 24°C at night. Wrap up your sightseeing on the 18th (Mon) to allow time to travel to Morro de Sao Paulo. On the 19th (Tue), kick back and relax at Quarta Praia and then tour the pleasant surroundings at Segunda Praia. Get ready for a full day of sightseeing on the next day: enjoy the sand and surf at Gamboa Beach, stroll through Praia do Mirante, and then take in the architecture and atmosphere at Igreja Da Nossa Senhora Da Luz. For photos, reviews, and more tourist information, read our Morro de Sao Paulo trip itinerary maker website . Traveling by combination of flight, bus, and ferry from Maceio to Morro de Sao Paulo takes 7 hours. Alternatively, you can do a combination of bus and ferry. Expect a daytime high around 34°C in November, and nighttime lows around 28°C. 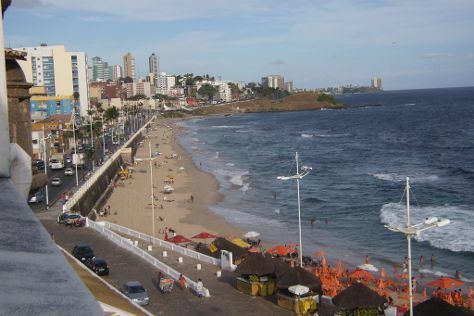 Finish your sightseeing early on the 20th (Wed) so you can ride a ferry to Salvador. On the 21st (Thu), enjoy the sand and surf at Praia Farol da Barra, then admire the striking features of Church of Our Lady of the Rosary of the Black People, and then wander the streets of Pelourinho. On the next day, identify plant and animal life at Wildlife Areas, then pause for some serene contemplation at Sao Francisco Church and Convent, then pause for some serene contemplation at Igreja de Nosso Senhor do Bonfim, and finally contemplate the long history of Santo Antonio da Barra Fort and Nautic Museum of Bahia. To find ratings, traveler tips, photos, and more tourist information, you can read our Salvador trip planner . You can ride a ferry from Morro de Sao Paulo to Salvador in 2.5 hours. Alternatively, you can do a combination of ferry and bus. In November, plan for daily highs up to 34°C, and evening lows to 28°C. Wrap up your sightseeing on the 22nd (Fri) to allow time to travel to Aracaju. 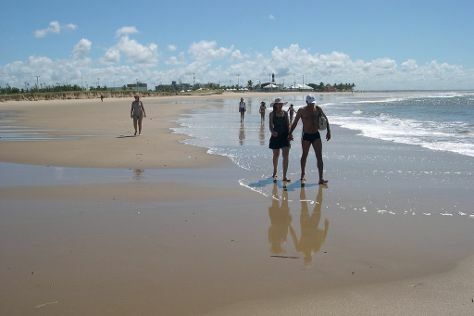 The capital of the state of Sergipe, Aracaju has developed a reputation as one of the most active, modern, and healthiest cities in the country. Start off your visit on the 23rd (Sat): enjoy the sand and surf at Croa do Gore, see the interesting displays at Museu da Gente Sergipana, and then enjoy the sand and surf at Atalaia Beach. On the next day, take a leisurely stroll along Orla de Atalaia and then tour the pleasant surroundings at Aruana Beach. To see photos, where to stay, traveler tips, and tourist information, go to the Aracaju road trip planner . You can do a combination of bus and flight from Salvador to Aracaju in 3.5 hours. Alternatively, you can drive; or take a bus. Expect a daytime high around 34°C in November, and nighttime lows around 28°C. Wrap up your sightseeing on the 24th (Sun) to allow time to travel back home.